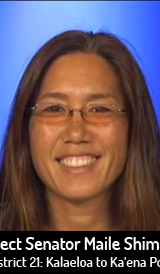 Shimabukuro, 43, has been a state senator since December 2010, when she was appointed by Gov. 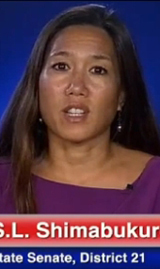 Neil Abercrombie to fill the seat vacated by Colleen Hana­busa, who was elected to Congress. [Shimabukuro subsequently won the senate seat in the 2012 elections.] 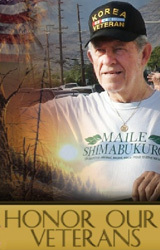 Shi­ma­bu­kuro was a state House member since 2003. 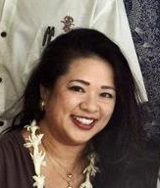 She passed bills to provide hoo­pono­pono (the Hawaiian practice of reconciliation) for juvenile offenders and their victims and to allow abused children to change their names in divorces and sue the perpetrators. She also passed bills to increase disclosure of financial conflicts of interest of key decision-makers and got $50,000 allocated for illegally dumped tires. One of her goals next session is to tackle the homeless and affordable-housing problems by looking at indigenous architecture and natural building. Shi­ma­bu­kuro hopes to come up with some building guidelines that will help clear the way for house construction with more affordable materials. In addition, she wants to look into the possibility of allowing mobile homes and shipping containers as houses and allow them on Department of Hawaiian Home Lands or Hawaii Community Development Authority lands. 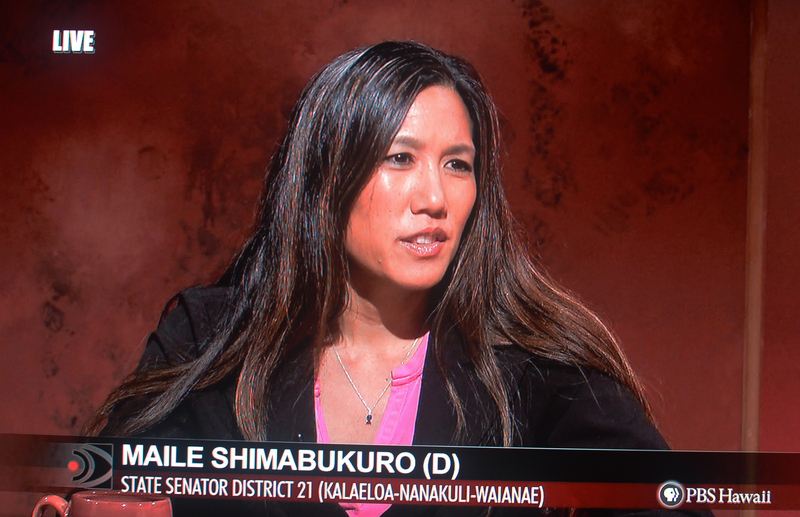 1 For more on Senator Shimabukuro’s philosophy and goals, see Civil Beat: ‘Candidate Q&A — Senate District 21: Maile Shimabukuro’. 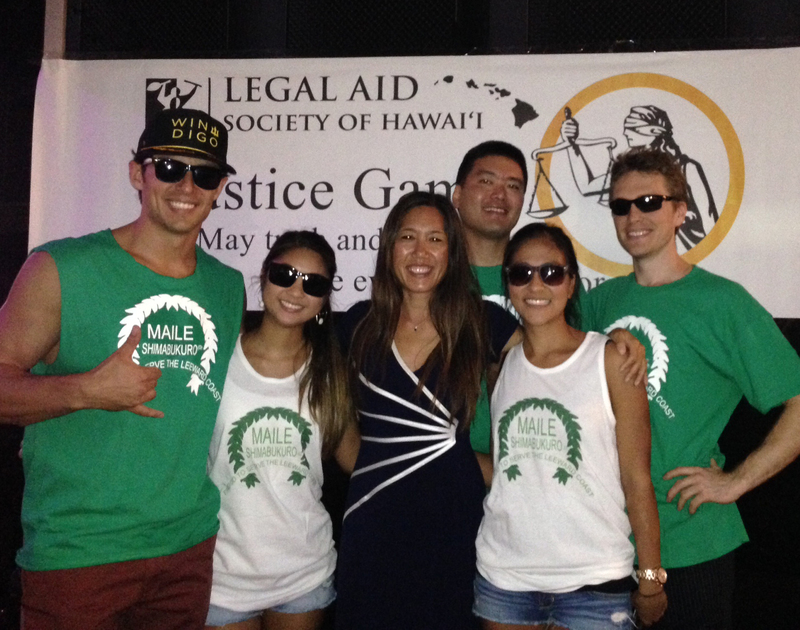 2 For more on Senator Shimabukuro’s accomplishments in 2014, see Over $94 Million in Improvements to the Leeward Coast and Maile’s 2014 Legislative Wrap-Up. Visit her official website and district 21 blog. The Shimabukuro-Kahikina portion begins at the 28-minute mark. 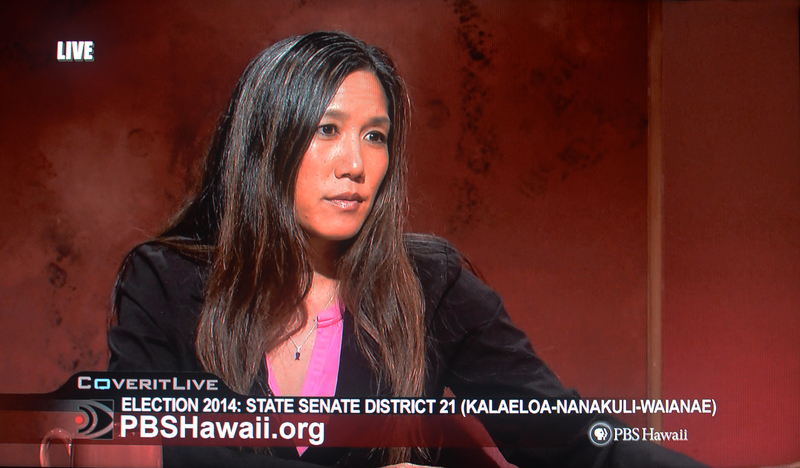 On July 24, 2014, from 8:30-9:00pm, Senator Shimabukuro participated in a discussion with her primary election challenger Michael Kahikina. 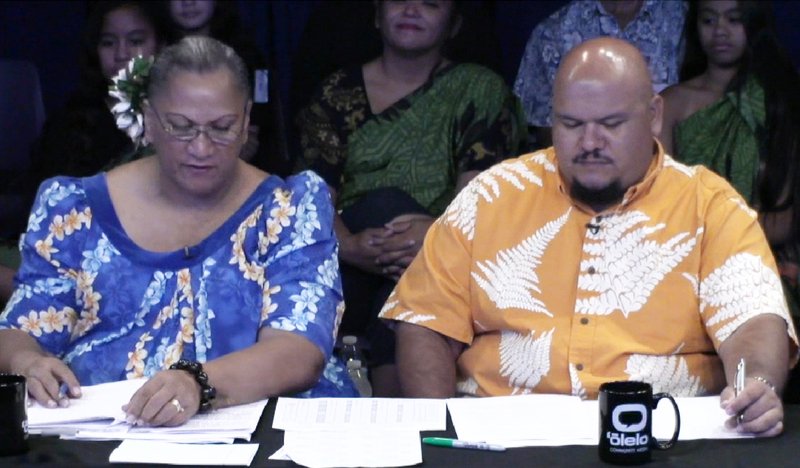 The PBS Hawaii Insights program, “Election 2014: Candidates for State House District 33 (Aiea)/State Senate District 21 (Kalaeloa, Nanakuli, Waianae to Makaha),” was moderated by Daryl Huff. The video can be viewed on the Insight site. You can also watch the rebroadcast on Sunday, July 27. 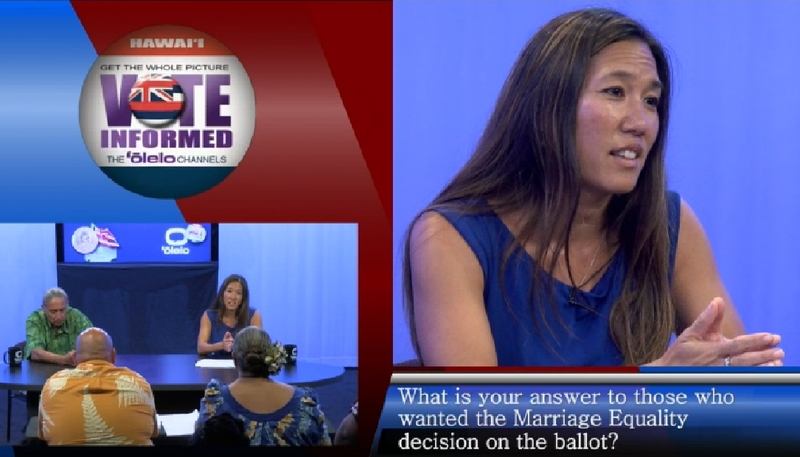 Senator Shimabukuro participated in the 2014 Waianae Coast Candidate Forum 96792: Ep – 2 Senator, District 21, on 12 July 2014. 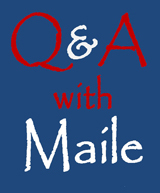 Click the image to watch the video on the Olelo site. 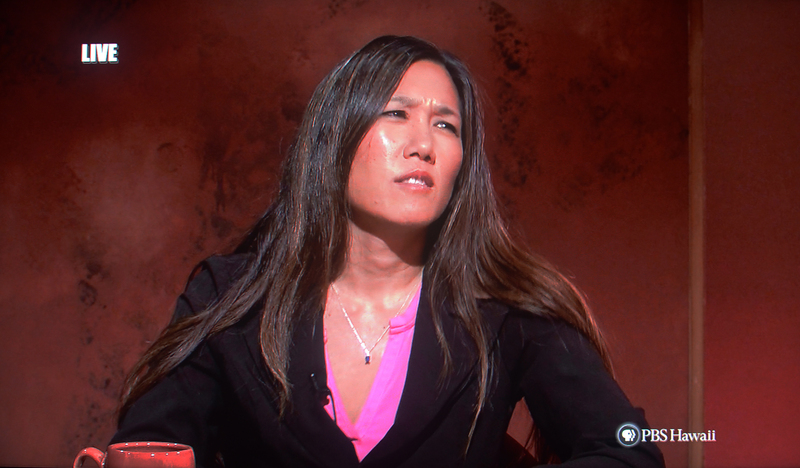 Senator Shimabukuro responds to a question. Lokana Keliikoa-Pua and Cory Cordeiro served as moderators. 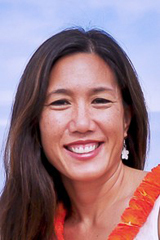 Incumbent Maile Shimabukuro faces Michael Kahikina in the Democratic primary for 21st District (Kalaeloa, Waianae, Makua). Kahikina has a long record of public service, including 12 years in the state House. However, Shimabukuro has represented the district well since being elected to the Senate in 2010 after serving in the House from 2003. An activist legislator, she co-sponsored a measure that would expand the time allowed for victims to bring civil claims for child sexual abuse. She also took the lead in promoting a new law enhancing transparency by requiring financial disclosure statements from members of selected state boards and commissions. 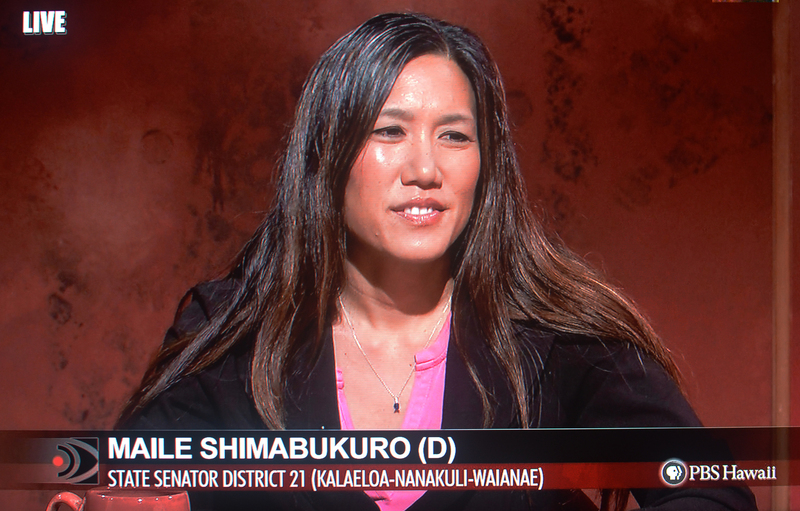 Shimabukuro, 43, has pushed for legislation that would improve conditions in her economically deprived district, seeking special protections for taro farming, the widening of Farrington Highway in Nanakuli, expanding job training opportunities for her constituents and seeking alternatives to provide shelter for the homeless. Among her GOP challengers, Tercia Ku offers the best choice for Republican primary voters. With a background as an educator and researcher, she has a solid record of community involvement and a centrist, pro-education platform. 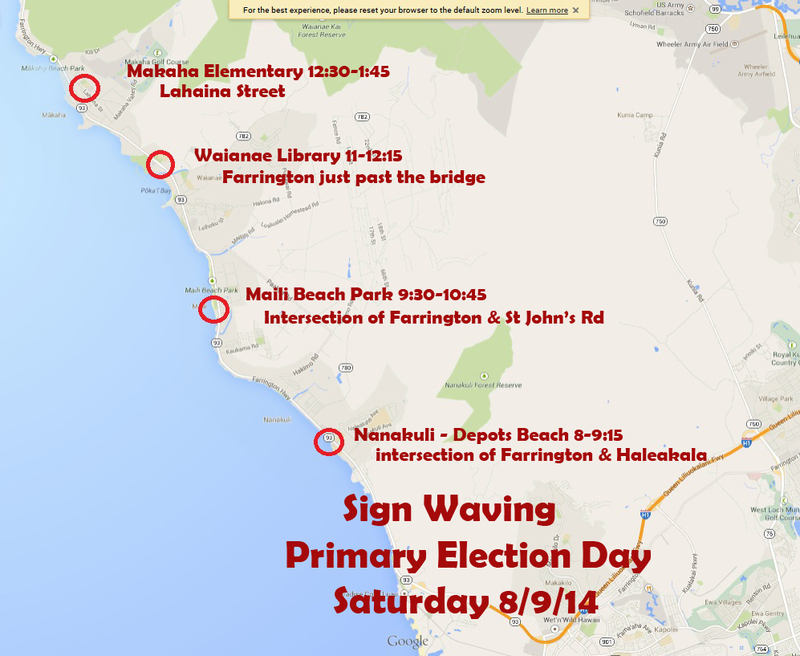 The other contenders are Johnnie-Mae Perry and Randy Roman Jr.
Sign waving for Friday 8/8 and Saturday 8/9 canceled because of weather. 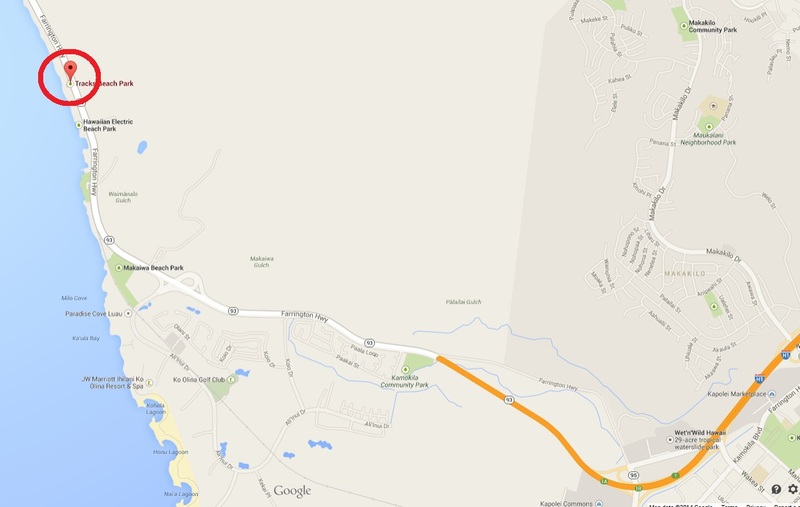 Honokai Hale, after H1 merges into Farrington Hwy. Ocean on the left. Click image to enlarge. 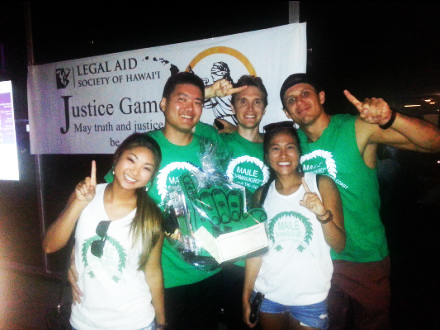 Honokai Hale. Click image to enlarge. Tracks Beach, between Honokai Hale and Nanakuli, just past the power plant. 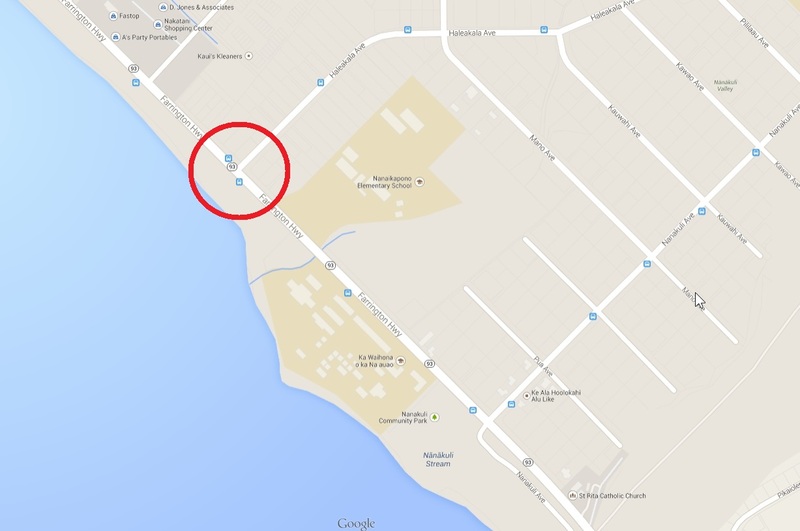 Look for the railroad “tracks” on the ocean side. Click image to enlarge. Tracks Beach Park. Click image to enlarge. 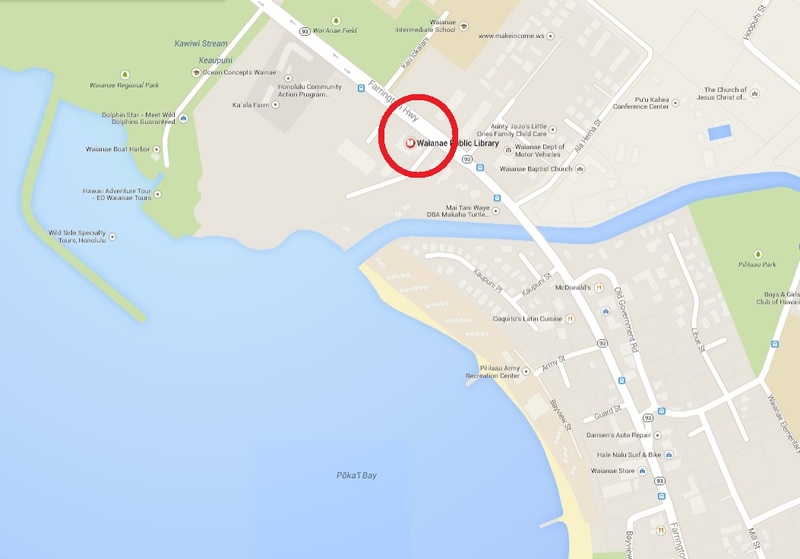 Depots Beach, in Nanakuli, Farrington & Haleakala Ave.
Depots, just past Nanaikapono El. Click image to enlarge. 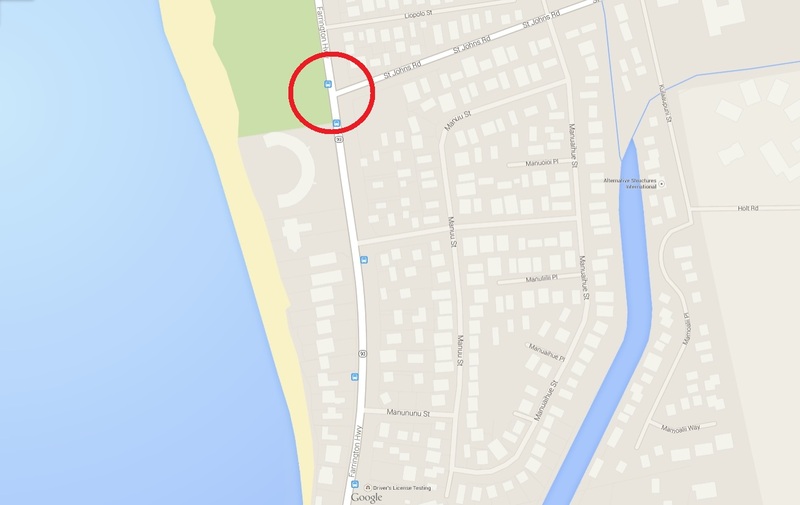 Maili Beach Park, Farrington & St. John’s Rd. Maili Beach Park. Click image to enlarge. Waianae Library, just past the edge of Waianae town, before Waianae HS. Waianae Library. Click image to enlarge. 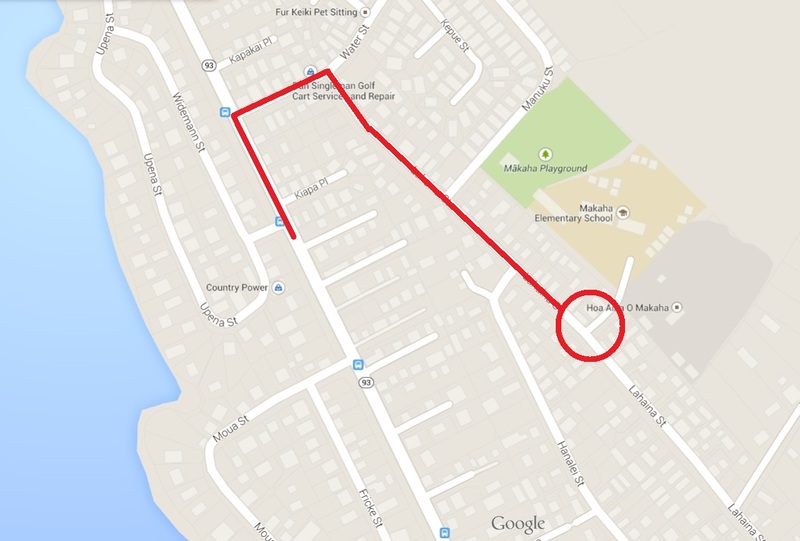 In Makaha, Lahaina St., by the entry to Makaha Elementary. 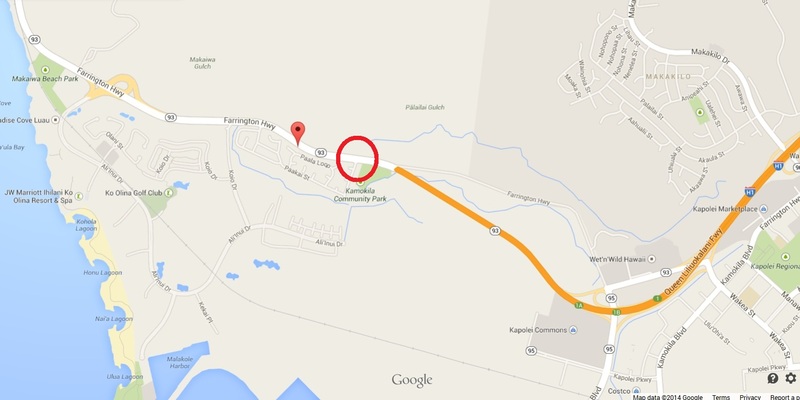 From Farrington, turn right at Water Street, and the first right after that is Lahaina. Click image to enlarge.